JOINING THE CAST OF SHE THE PEOPLE AT THE SECOND CITY APRIL 6 THROUGH nOVEMBER 11, 2018! 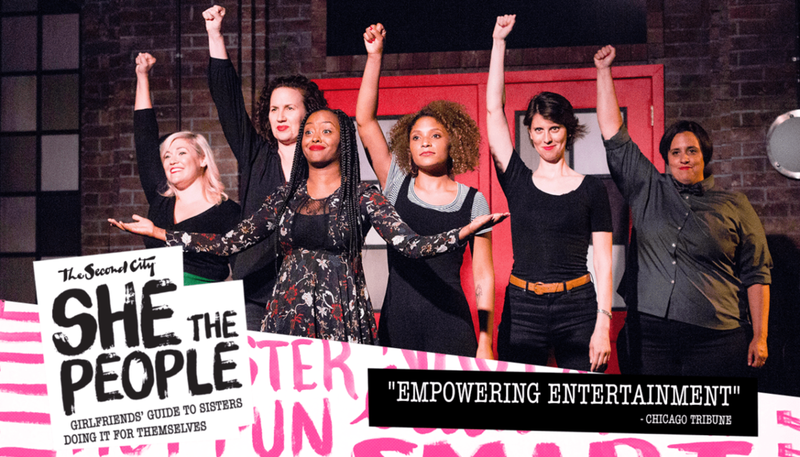 I'm thrilled to join the hilarious all-female cast of the critically acclaimed sketch comedy show SHE THE PEOPLE in the UP Comedy Club at The Second City! Come see me Thursdays through Saturdays at 8pm and Sundays at 7pm from April 6th-Nov. 11th. Get yo tickets HERE.